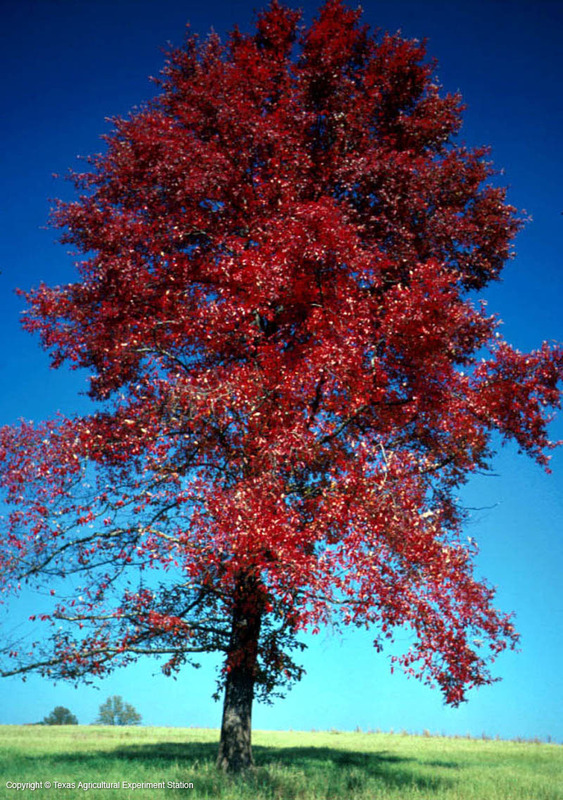 Black gum grows on moist, poorly drained sites in east Texas. 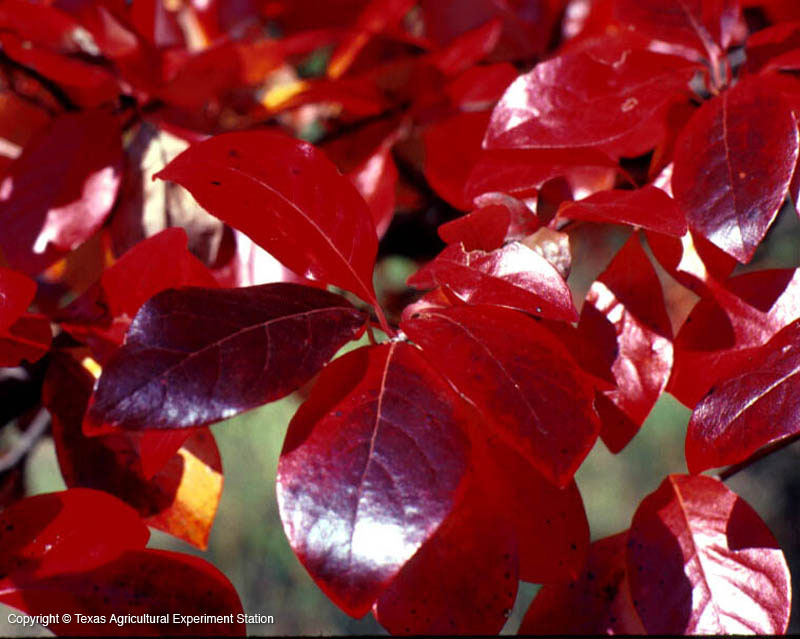 It is strongly tap-rooted, making it difficult to transplant, and relatively slow growing, although that can be accelerated with adequate fertility and moisture. Although it is native to swampy locations, it is also sometimes found in the wild on dry mountain ridges, and can do well on moderately dry soils with reasonable care. 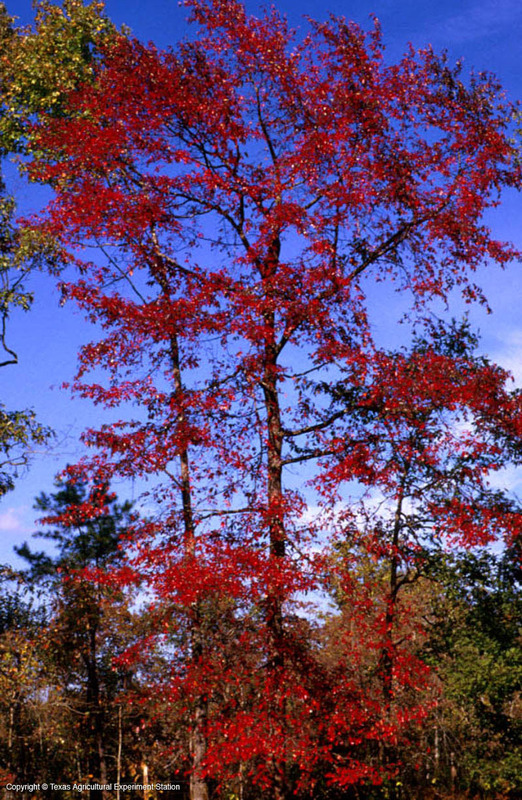 It horizontal branches are rather widely spaced along the trunk of the tree. 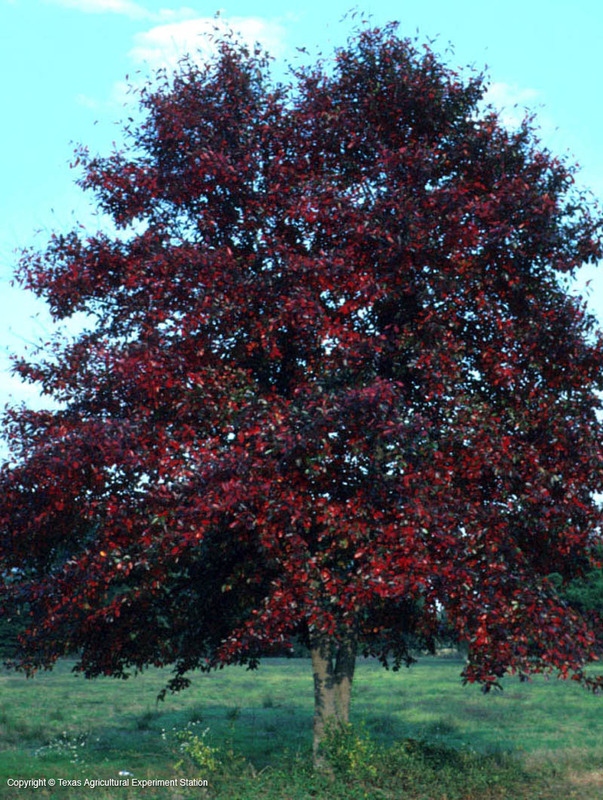 Black gum is one of our most beautiful trees in the fall, and also one of the most consistent. 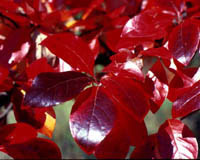 Its leaves turn color early, sometimes in August, changing from brilliant yellow to orange to scarlet to purple. Clusters of shiny blue to black fruit, eaten by many species of birds and wildlife, remain through winter.